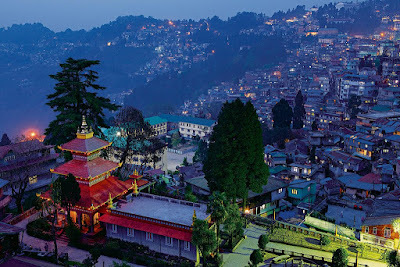 Mamata Banerjee's decision to create development boards in the hills is giving rise to a new political narrative in the hills as not only the Gorkha Janmukti Morcha but also apolitical associations believe the chief minister is adopting a divide-and-rule policy for the region. Nagarik Surasksha Samity, which is not aligned to any political parties in the hills but is a strong voice on social issues in the hills, has decided to hold Rashtriya Gorkha Mahasamellan in Darjeeling on April 29 to "once again unite" the Gorkhas from across the country. K.K. Pradhan, the general secretary of the samity, today said: "Keeping in the mind the need to once again unite the Gorkhas to uphold the community's pride and identity, which is the need of the hour at a time the Gorkha community has been divided along community lines, we have decided to hold a Rashtriya Gorkha Mahasamellan in Darjeeling on April 29." The samity has decided to felicitate Gorkha community members who have excelled in social work, art, music and other fields at the event. So far, the state government has created or announced 15 development boards in the hills. While Mamata maintains that she is trying to develop the hills through the boards as the Trinamul Congress is not in control of regional and local administrative bodies, the Morcha has been alleging that she is adopting "divide-and-rule" policy to dilute the Gorkhaland demand. The boards have helped Trinamul increase its presence in the hills given the crowds the party is attracting at its meetings of late. But the decision taken by the samity, according to observers, is reflective of the general mood of the hill people who don't totally buy Mamata's claim that the boards are only for development. Roshan Giri, the general secretary of the Morcha, said: "We welcome the move. The samity's decision and views definitely reflect the general mood that our community is being divided through development boards to undermine the Gorkhaland demand."